The SEC Women’s Tournament returns to Nashville for the fourth time in the last 10 years and for the first time since 2012. The Lady Vols will look to cut down the nets for the first time since 2012 and are hoping for some repeat magic in the Music City. 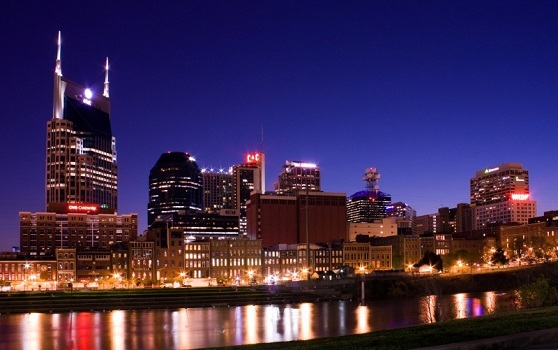 Whether you are a Nashville regular or this is your first time in Tennessee’s capital, here is a guide on places to go party, eat and drink in one of the most fun cities in the nation. The Stage on Broadway: This bar makes a good first stop for your trip to the Music City. It features live music from a multitude of bands on its stage and as a major plus, there is no cover charge. The drinks are strong and some would say the prices are stronger. The one thing that brings this bar together is a mural on the inside featuring some of the legendary artists of country music. Loser’s: I don’t think it matters what happens, everyone is welcome at Loser’s. Another bar that hosts live music and has room to dance. Don’t let their name fool you, many people consider themselves winners by the time they leave. You can also order food but the kitchen is next door at Winner’s Bar, so that may be the only downside. Tootsie’s Orchid Lounge: Otherwise known as just “Tootsie’s”, this is a common post-game location as it’s right across from Bridgestone Arena. While it’s good for a drink it is even better if you want to hear some quality music as you never know who you might run across here. Willie Nelson played their as an up-and-comer. If you make one bar stop all weekend, it should be its Tootsie’s. Tin Roof: I visited Tin Roof while home over Christmas break and it was the best stop of the evening in my opinion. Next to Tootsie’s, this is probably the next best to see one of Nashville’s many country music singers. And it’s not so bad when it comes to sports as they have TV’s aplenty on both floors of the bar. So, if you’re still riding high from the previous bar stops and your team’s big win, head to Tin Roof for great music and drinks. Rippy’s: It has some of the best barbeque I’ve had on Broadway. They join every other bar and restaurant with live music, but the guy that played when I was there also took requests. If you stop in for a bite, I recommend the Hand Sliced Pork Loin. Pancake Pantry: Need a place to go to get a good breakfast in before the early games, then head to the Pancake Pantry. Over in the Belmont neighborhood, this place is a staple. Serving Nashville since 1961, this place knows a thing or two about pancakes. Open every day at 6 a.m., the restaurant has a wide variety of pancakes to choose from. They also offer lunch till three during the week and four on the weekends. If you go, I’d recommend a reservation. The line is always out the door. Honky Tonk Central: The “latest and greatest” of bars to hit up in Nashville calls Lower Broadway home. They have music all day and music all night long, plus you can add on great food as well. This bar/restaurant combo can host private parties so if you plan on staying to celebrate your team bringing home an SEC Women’s Tournament Championship, then call Honky Tonk and they can hook you up with a room. I hope this guide helps. Nashville is a great city and it’s going to see some great basketball this week.